Known to produce some amazing and revolutionary gadgets, it seems as though Apple is gearing up with yet another beauty of some kind that will follow in the same line as its previous bountiful offerings – such as the Macintosh, iPhone, and iPad. Today, there is a new report about one specific renowned French designer that’s alleged to be working with Apple on a ‘revolutionary’ new project. Normally, we don’t hear from designers that often about uncovering some information regarding a new Apple project, so it’s surprising to hear Starck making them public so early on in the project’s timeline. Well, if this is all real, we can expect to see this revolutionary project unveiled sometime at the end of the year in December. Something surely smelled fishy from the start regarding this new 'revolutionary' new project that Starck alleges to be a part of. Actually, an Apple spokeswoman stated that the company isn't working on a new project with the renowned French designer. Furthermore, it's believed that the revolutionary project was nothing more than a yacht that he was working with Steve Jobs prior to his death. When questioned again for more details about his previous remarks, Starck didn't provide any additional stuff. Considering that Apple has a reputation of keeping big projects hush, it obviously surprised us to hear someone breaking that code of silence. oh god sake, not again. Phillipe Starck is probably the most famous product designer in the world, I'm curios how come they didn't hire him before. Microsoft was pretty unsuccesful when he cooperated with them on Microsoft Starck mouse, although it was a great and beautiful mouse. 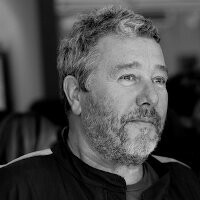 Starck is a celebrity more than a designer, though, and his carrier is based on hype and red carpet. His studios deliver outstanding design, and this cooperation with Apple could be even more potent in terms of final product. Of course, his cooperation is probably another celebrity show-off, nothing more. He is allowed to say about the project because he has authority of his own, even when it's project with Apple. Great marketing, and most importantly, more money for both Apple and Starck! Are you smoking crack? That mouse looks terrible. MS did a better job with their Arc mouse. There is a reason Phillipe Starck is a renowned product designer and you are obviously not, and that reason could be easily understood from your words. like the lemon juicer that corrodes each time one squeezed a lemon? or the electric kettle with the "do not get wet" warning label? or the hotel lobby of the royalton hotel that falls apart the 1st day it opened? Or the Evian water bottle for NY fashion week that leaks? Great Choice of Designer! Let me guess - big screen with LTE radio?? WOWWWWWWWWWWWWWWW!!!!!!!!!!!!!!!!!!!!!!!!!! Isn't that all android is? So if a phone has LTE and now another phone has it, do you really think it's copying? No! But when it's apple, you do? Please grow up! This is exciting. It's also a smart move for the French market as Apple's products haven't done as well there. A girl having an erection?? A raging 3 incher, hide your eyesheep! It's going to be rounded corners, rectangular Samsung SmartTV with Apple logo. How unoriginal and not funny. Just like your inbred peasants lineage. Unoriginal and unfunny. Revolutionary NEW apple product? New ipod or ipad confirmed. Yawn.